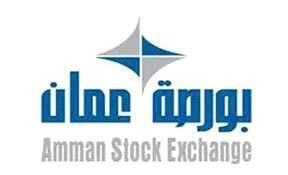 AMMONNEWS - The Amman Stock Exchange (ASE) closed Wednesday's trading session up by 0.06 percent at 1,965 points. A total of 2.8 million shares were traded through 1, 813 transactions at a trading value of JD5.5 million. When comparing the closing prices of companies with traded shares, 29 saw their share prices going up, while 29 others declined. The prices of the shares of 36 firms remained unchanged.